There's no doubt about it - we've come a long, long way since the HTC Dream (whose relatives include the G1, myTouch 3G, and DoCoMo HT-03A) was released. Since that fateful October day, we've seen all kinds of crazy Android-powered gear, from snow goggles to handsets sporting more raw horsepower than a netbook. We've also been treated to heaps of community-created mods, including custom ROMs like CyanogenMod and MIUI as well as mind-blowing hacks of other sorts, such as 1.5GHz overclocks and apps that essentially manage your phone for you. 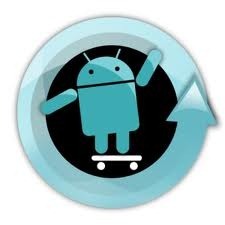 Get ready for another scoop of blue Froyo: CyanogenMod 6 has just been updated to RC3 for the Nexus One, Droid, Droid Incredible, Dream (G1) and Sapphire (myTouch 3G), RC2 for the EVO, and was just released as RC1 for the myTouch 3G Slide and Hero CDMA. 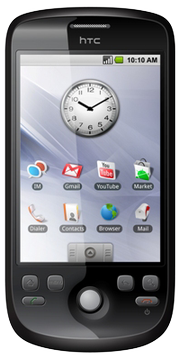 - First time flashing CM 6 to your Nexus (or coming from another ROM)? Looking for an easy way to root your Android Device? Universal Androot may just be what the doctor ordered. 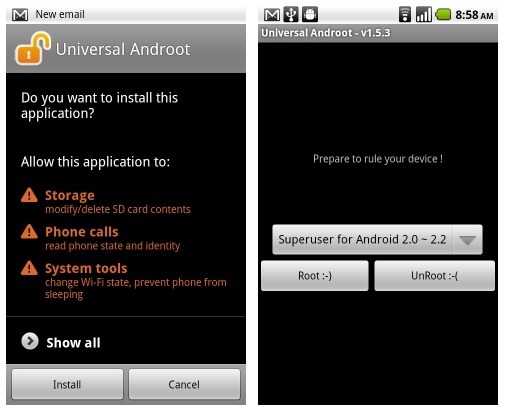 The one-click root fad seems to be catching on and Universal Androot is an app that covers multiple Android devices, making it easier for those who may be reluctant experience the mighty wonders of root. Universal Androot is the simplest root/unroot method I have seen to date and probably the safest - it has been confirmed as working by multiple users (apparently it uses the same exploit used to 1-click root the Motorola Droid X). 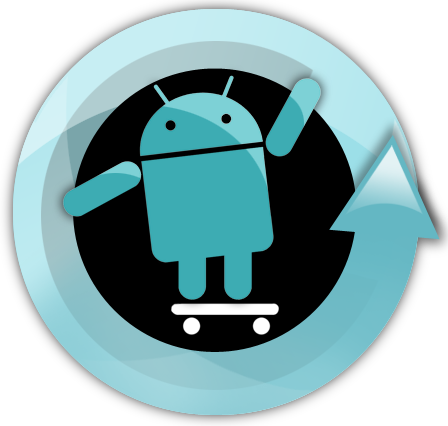 The long-awaited first beta (release candidate) of CyanogenMod 6 is available for download on the HTC Nexus One, Dream, and Magic devices as of 10:15PST this evening. While Cyanogen’s site is experiencing some seriously debilitating traffic, we’ve managed to get links to all the downloads for those of you eagerly awaiting a taste of what CyanogenMod 6 will bring to your phone. 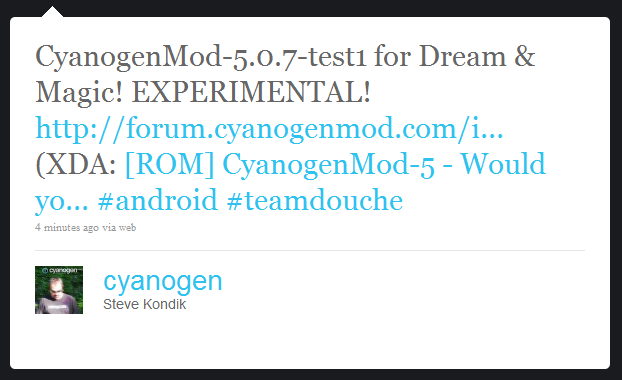 Additionally, Cyanogen has said it will be available via ROM Manager very shortly. 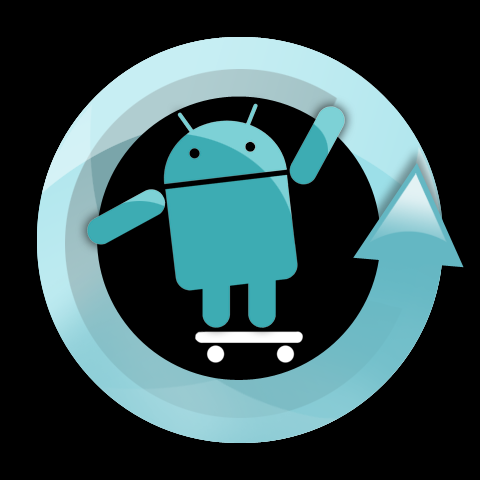 The latest version of the popular CyanogenMod has been released, offering bug fixes and various improvements over the previous version. If you’ve never used the Cyanogen ROM before, you can read our full review and installation guide here. Available to download for the Nexus One, Droid, Dream and Magic, CM 5.0.8 sees some great speed increases on older devices that were still a little sluggish under the previous version. A particularly noticeable addition to 5.0.8 is ADW Launcher, a home replacement app, which is now included in the ROM by default. Accompanying this is 720p video recording support, which we first saw appear in CM5.0.8-test3 earlier this month. Full instructions and downloads for this first version (Test1) are available at this CyanogenMod forum post and are cached below (the forum is SLAMMED). G1 users: note that you need "DangerSPL" (or DeathSPL or Haykuro's SPL or whatever you prefer) in order for this ROM to fit onto your phone.